Check in regularly to see what we are up to. WE ARE CURRENTLY WORKING ON COMMUNITY OUTREACH INITIATIVES THROUGH WHICH THE BOUNCING BULLDOGS WILL BE ABLE TO DEVELOP CHILDREN INTO CHANGE-MAKERS AND LEADERS. Started with 15 elementary jumpers and now has over 100 jumpers in all levels, elementary, middle school and high school. JUMPERS TODAY CAN BE LEADERS TOMORROW. 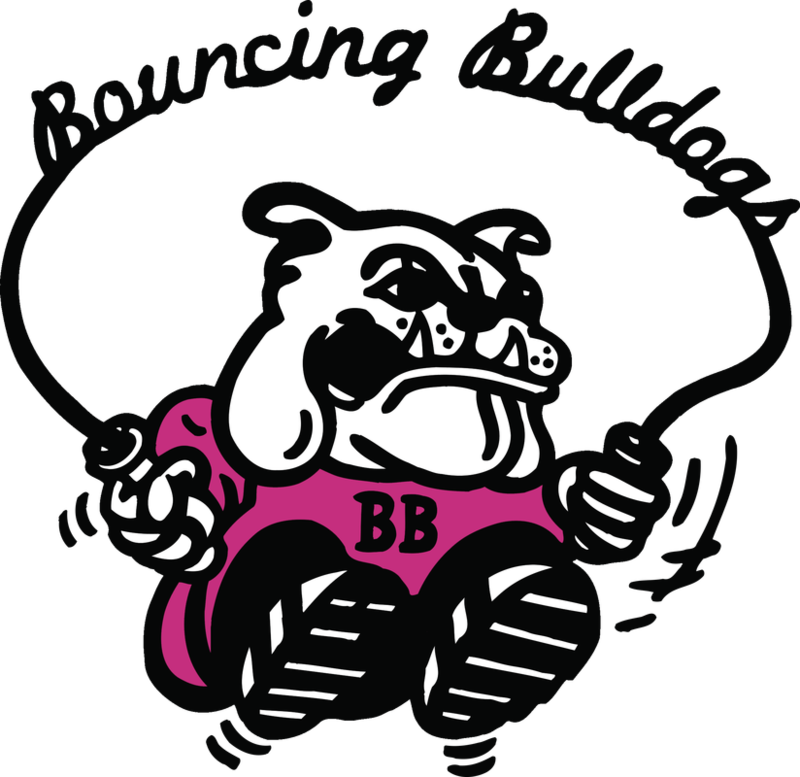 The Bouncing Bulldogs program updates its members, followers and jump rope enthusiasts by highlighting top news stories and articles through its News page, Coach’s Corner blog, Jumpers’ Corner blog, Frequently Asked Questions page and Members page. The program is committed to spreading the word and power of jump rope to everyone around the world.